The strategic port of Gwadar has captured more than its share of international news headlines in the last few days. 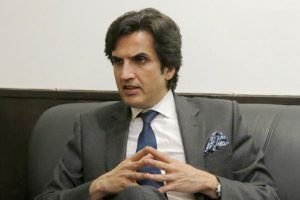 Reports confirm that Pakistan’s Federal Minister for Planning, Development and Reform Makhdoom Khusro Bakhtiar has reviewed plans for the city’s development that will give a huge boost to the Gwadar property market and the region’s economy as a whole. The latest media reports indicate exciting times ahead for Gwadar real estate investors. Many say that the area will become a thriving port city, but shrewd Pakistan property investors know that this has already been the case for quite some time. Gwadar is key to regional trade and the China-Pakistan Economic Corridor (CPEC) with its regeneration beginning immediately after the initial announcement of the $62 billion bilateral initiative in 2015. Bakhtiar confirmed Gwadar’s intended status as an environmentally-friendly region and one of the measures in place to achieve this is the positioning of oil and other heavy industries away from the main city centre. This is a logical approach to maintain the ‘green’ feel of the port and easy access via main transport links means the commerce of Gwadar will not be hampered. Described as the ‘Master Plan’ for the city, the meeting also underlined further potential for growth in Gwadar. Included in the plan are intentions to acquire additional land in order to meet the requirements of the overall development. The port plan is now incorporated into the overall city master plan and the ultimate aim is to bring Gwadar in line with the international standards of other top ports around the world. However, as anyone who has monitored the Pakistan property market over the last few years will know, Gwadar has already been a booming district for some time. As further developments continue to be planned it’s clear that the Gwadar property market is set for another boost. Since the potential of Gwadar port was first recognised in the 1950’s the region enjoyed slow but steady development until 2015 when the government announced that the area would experience massive growth thanks to a budget of $1.62 billion. The ‘modern city’ began to develop from that point but it’s certain that the latest news will further enthuse Gwadar property investors as they look to the bright future of a truly international city.